Your garage door deserves the best! Check out what we can offer. Our experts are ready to get to work on repairing your garage door opener, springs, or anything else necessary! To discover more about what we can do, click here. 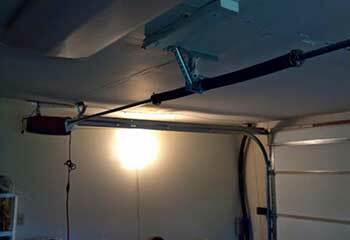 Springs are a crucial part of your garage door. When they fail, it's important to have them fixed as soon as possible. Considering the inherit dangers involved, it's best that you call our expert repair team. Do you need help picking the right opener for your garage door? Don't worry. Our experts can help. Click here to learn more about these complex units. With our maintenance services, you too can enjoy smooth opening and closing, the highest level of safety, and hassle free operation of your garage door. Find out more here. Whether you need to have your gate restored or your motor replaced, contact one of our professional gate repair technicians for assistance you can count on. Between heat, crime, and mosquitoes, there’s ample reason for any Southern California resident to want to keep their garage secure and impervious. A well made and insulated automatic overhead door is the best solution to these problems, and Garage Door Repair Encinitas offers high quality installation and repair services throughout the region, from Solana Beach to Carlsbad, at rock bottom prices. An electric garage door opener and a pair of springs (or sometimes only a single torsion unit) allow your garage door to be much heavier and more cumbersome than a hand-drawn model could. This means stronger, thicker, and more easily insulated against heat, moisture, and insects and other vermin. Thanks to rolling code technology employed by modern garage door opener remote control systems, automatic doors are also the safest against home intruders. 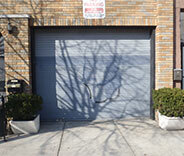 A properly made and maintained overhead door can help keep the climate and security stable all year round. More than just a practical asset, a beautiful garage door can bring your property together visually, and by choosing the right style, decorations, and paint colors, you can make that part of your house blend seamlessly in anywhere from San Marcos to somewhere close to Vista. Our service professionals here at Garage Door Repair Encinitas have developed quite an eye for this, and will happily help and advise you. Of course, any machine is only worth having if it’s in proper repair, and a garage door that won’t open can be particularly dangerous to your comfort, work, and overall sanity really. 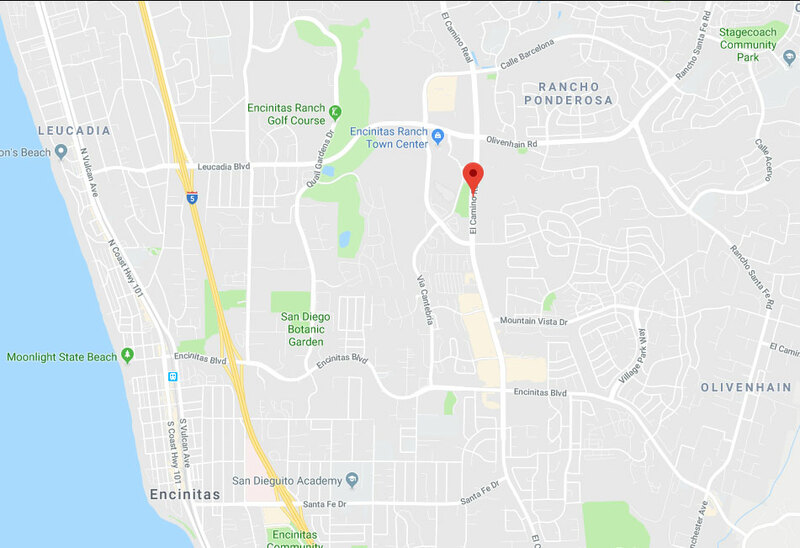 Fortunately, our troubleshooters are on call seven days a week, and can service an address as far away as Oceanside or right here in Encinitas. Anything related to automatic garage doors, from torsion springs to photo eye sensors to opener remote controls, falls within our purview. 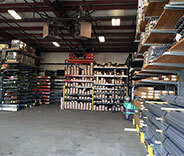 Garage Door Repair Encinitas keeps a well-stocked warehouse of fresh parts and components from hardware manufacturers like Sears and Clopay, to specialized garage door electronics designers such as Craftsman, Genie, and LiftMaster. If you need something upgraded or replaced, our team will help you pick out the electric opener model that best fits your system personal preferences, and desired price range. They can even build you a whole new overhead door and opener system for your garage, made entirely from your choice of parts, materials, and accessories. Our appointments are easy to schedule anywhere between here and Escondido, and inexpensive to boot. Call today and let us know what kind of garage door services you’re looking for. We only use the leading brands of replacements parts and products for repairs. Our technicians have a broad set of skills that you can rely on. Our goal is for you to be 100% satisfied with our service. We repair your garage door professionally, but with urgency. From minor repairs to major installations, you can read all about the latest projects we’ve worked on in Encinitas. 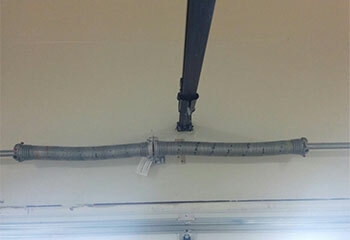 This customer noticed that his garage door was closing slower than it used to. We were able to help. Learn more here. 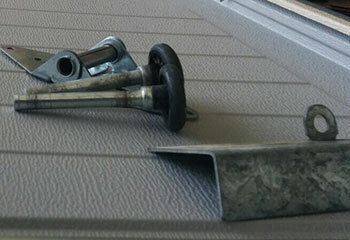 This customer heard a loud grinding sound coming from the left side of his garage door. Find out how we helped. 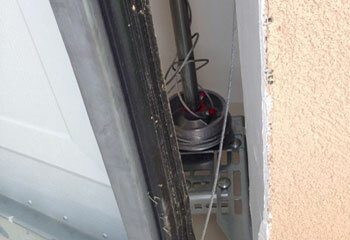 When we got a call about a garage door that wouldn't budge, we were on our way with a new spring. See more here. We offer a range of door designs and can install them as part of the service. Have your new door installed perfectly today! This customer called after one of the cables snapped. Read more about the problem and our solution here. When we couldn't get our garage door opener to work, we called this company for help. Their service technician was amazing and repaired the opener perfectly. Thanks for excellent service! When we needed a new garage door installed, we relied on this company for quality, personal attention and a low price. They delivered completely and we're very pleased with our new purchase! The folks from this company helped us pick out an excellent replacement garage door for a very affordable price. We couldn't be happier with the results and highly recommend their services! Our new garage door from this company is absolutely perfect for our home. Their decorator was kind, very helpful, and the cost was quite reasonable. We couldn't be happier! Thanks for great service! We had a sealing issue with our garage door and called this company for help. They replaced a worn seal just perfectly and now there are no more problems at all! Very quick and impressive service! 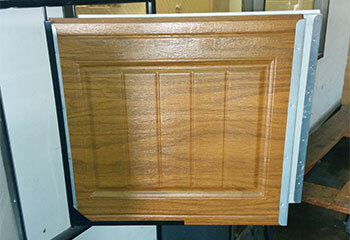 Your team installed our new door perfectly from start to finish. They were genuinely well-prepared and did the job fast and it looks great. Thanks so much for such an awesome job! I was afraid we needed a new door but your technician was able to replace two panels and save us a lot! Very honest and above board and we will definitely be calling you again! The new opener your team installed on our garage door is absolutely astounding! I love opening and closing the door with my smartphone! What a great device! Thanks very much for the excellent service!